In a rather impressive side-hustle, one of the world’s greatest soccer players, Cristiano Ronaldo, is steadily building a suite of hotels under his CR7 brand. 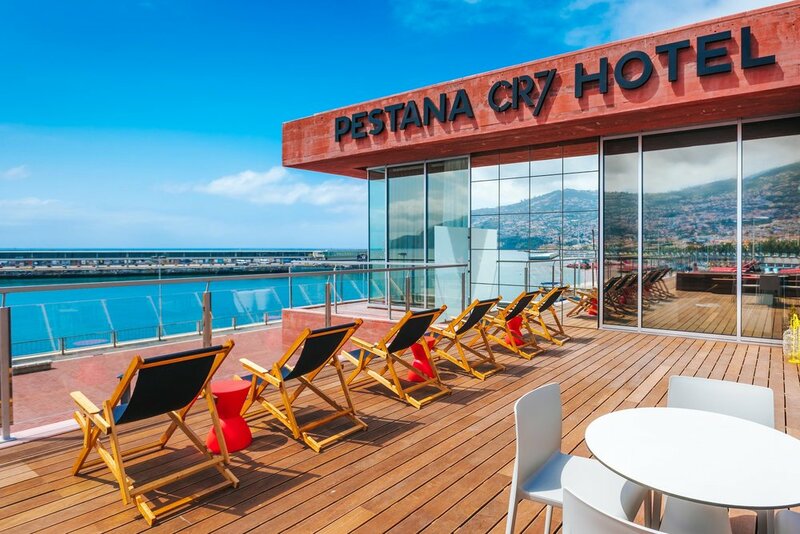 Ronaldo’s venture is a 50/50 partnership with Portugal’s largest international hotel group, Pestana, and is targeted at millennial leisure travellers. The first CR7 was fittingly opened in Ronaldo’s homeland on Madeira Island, 1000 kilometres southwest of mainland Portugal, which is also where the Pestana family business was born in 1972. The 49-room CR7 in Madeira’s capital of Funchal opened last year and is themed around Ronaldo’s football career. 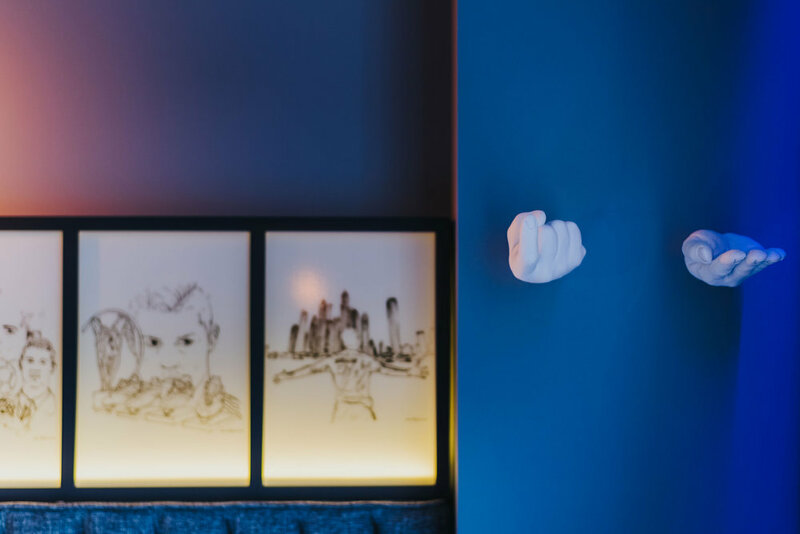 Although corridors lined with fake grass and mock CCTV cameras in the bathrooms may sound kitsch, the designers have cleverly balanced novelty with style so even non-sports fans will enjoy the space. That said, sports memorabilia is scattered throughout the industrial-style common areas and fun design elements have been added, such as a shot of the sports giant in the bathroom with his sunglasses serving as mirrors, and banana printed cushions and throw rugs in the rooms to honour Madeira’s key crop. 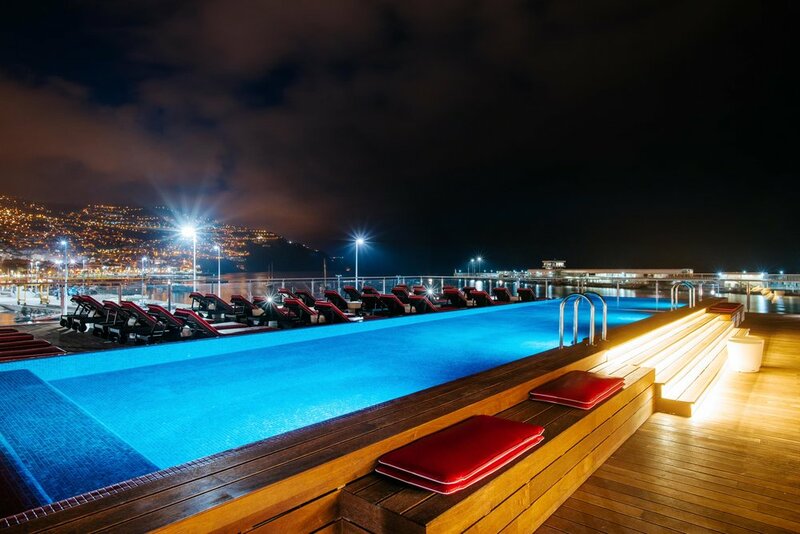 Outside, a red-tiled rooftop pool and spacious deck overlooks Funchal’s marina and iconic hillside development. 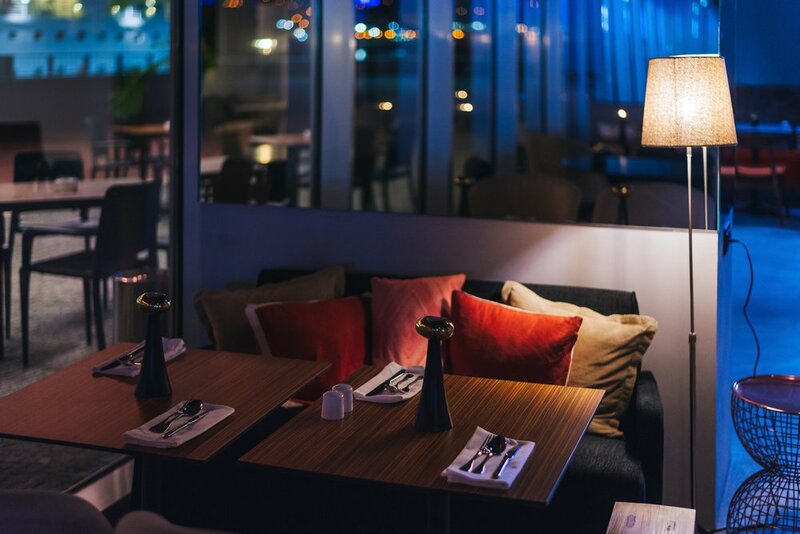 The hotels are designed to appeal to tech-savvy travellers, so rooms are kitted out with high-speed Wi-Fi, Apple TV, Netflix streaming capability, Bluetooth audio and HDMI connections. Suites then come with a PlayStation 4 and virtual reality glasses and games. On top of that, guests are offered a mobile phone that acts as a digital concierge to book tours and the like, and is loaded up with maps and apps, including Facebook and Tinder. Thirty minutes of free international calls per day are also included. Stay tuned for Part 2, when Emily explores the CR7 hotel in Lisbon.